There never was a tenor quite like James McCracken—a veritable force of nature vocally, he fought his way to an international career that would come to be dominated by his seething portrayal of the title role of Verdi’s Otello. 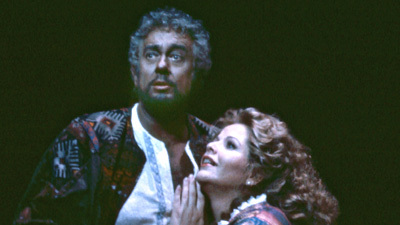 In this March 11, 1967, broadcast conducted by Zubin Mehta, McCracken’s finely sung Otello rages with a raw-nerve fury but also brings heroic tenderness to the love duet and his final moments. Montserrat Caballé’s singing, regal in its beauty throughout, gives way to towering passion in Desdemona’s clash with Otello in Act III. 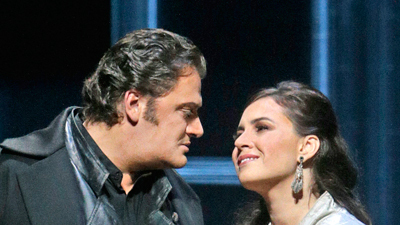 Tito Gobbi is utter, impeccable evil as Iago, heard in the savage glee he finally takes in hurling Cassio’s name, like a knife, at Otello at the end of Act II.